Available in 4 sizes, 130mm, 150mm, 180mm and 200mm high. 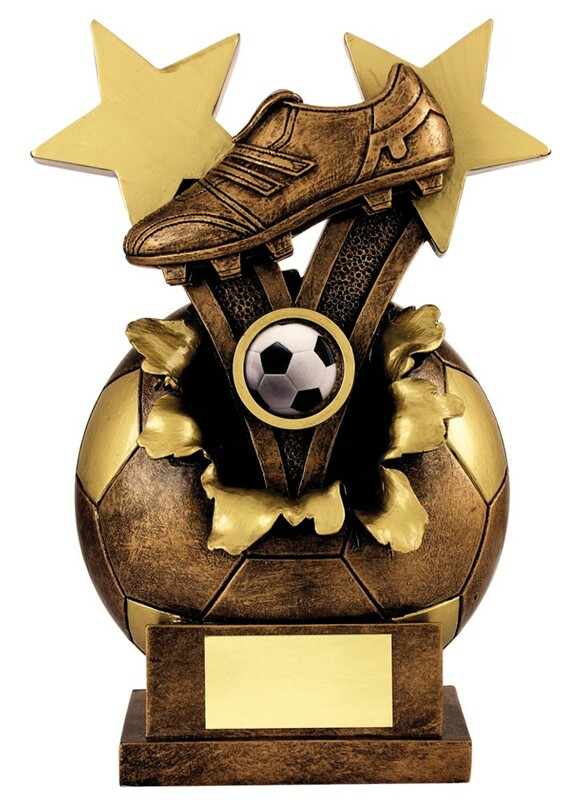 Antique bronze ball with a football boot and stars exploding out of the ball with great gold detail. A superb unique resin award.